This entry was posted in Blog Photography & Wallpapers and tagged blog Photography & Wallpapers on May 3, 2013 by Tom Grundy. Whilst HK goes nuts over an inflatable duck, 1,200 of its citizens are facing another night without a roof over their heads. The Society for Community Organisation (SoCO) says that the numbers are increasing. 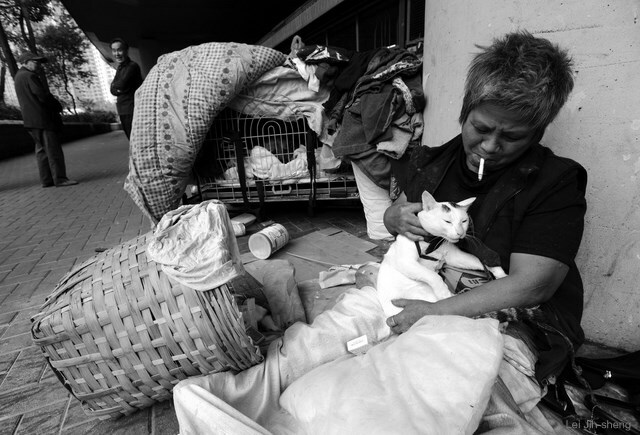 Many of these people make up HK’s ‘working poor’, earning a median wage of $3000-5000 – not enough to cover rent. 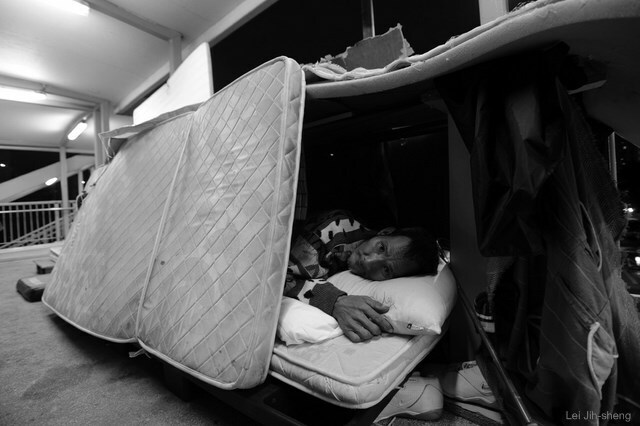 There are no specific HK laws which forbid sleeping on the streets but the government targets the homeless by clearing personal belongings and even using loudspeakers at hourly intervals at night to clear areas like the Tsim Sha Tsui waterfront.